Between its forced separation of Facebook Messenger from the rest of the app and its bullheaded alienation of the LGBT community, Facebook hasn't made many friends the past few months. But now it seems the social network wants to remedy that. No, unfortunately they're not stitching Messenger back into the main Facebook app. Even better, though, the social network has agreed to be more lenient when it comes to its real name policy. This concession also came with an apology to the LGBT community, proving Facebook knows when it has to eat a little crow. 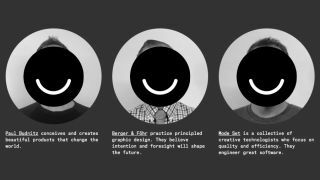 The trouble for Facebook may have really begun when some users, particularly LGBT users whose accounts had been suspended over Facebook's "real name" policy, began migrating to Ello. Facebook didn't do itself any favors when it refused to budge initially, but according to Facebook Vice President of Product Chris Cox the company has rethought its position. "I want to apologize to the affected community of drag queens, drag kings, transgender, and extensive community of our friends, neighbors, and members of the LGBT community for the hardship that we've put you through in dealing with your Facebook accounts over the past few weeks," Cox wrote in a Facebook post. "We owe you a better service and a better experience using Facebook, and we're going to fix the way this policy gets handled so everyone affected here can go back to using Facebook as you were," he continued. Cox also revealed that most of the LGBT users who were reported for not using their real names were targeted by a single vigilante user, and unfortunately Facebook didn't notice the pattern at first. He said Facebook stands by its real name policy, but that it's never been about making people use their actual, legal names. Now they're "building better tools" for dealing with real name reports while ensuring individuals can use the names they use in real life, regardless of their actual legal names, and providing "more deliberate customer service" to flagged accounts.